Summer's almost here and I've got travel sketching on my mind, so I thought this might be the perfect time to do a sketch kit GIVEAWAY for you, my loyal Everyday Artist followers. I picked up some goodies when I was at Cheap Joe's a couple of weeks ago, and they could be yours just for leaving a comment on this post. I'll be taking my art supplies on lots of fun trips this summer and fall. First off is Maine, where I'll be teaching two back-to-back painting workshops. 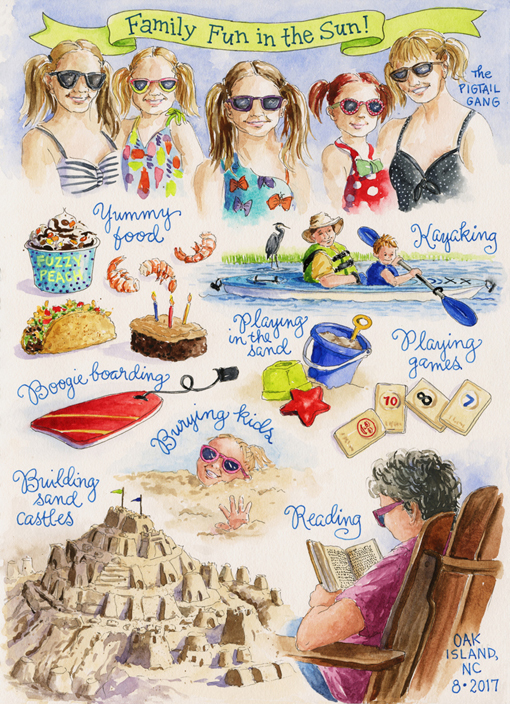 Then there's a family beach vacation in July (not much time for painting when there are four young children clamoring for attention, but I hope to squeeze in a sketch or two). Then I'll be gearing up for a fantastic trip to Italy where I'll be teaching two workshops. 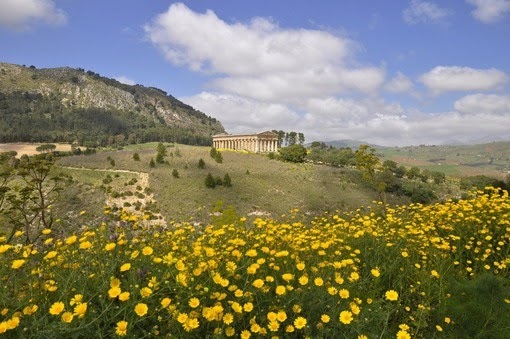 The first is on the beautiful island of Sicily where we'll be sketching soaring mountains, windmills, ancient Greek ruins, and picturesque seaside villages. There are a few spots left on this workshop tour. Read all about it here. Dates are September 15-22, 2018. Then I'm off to Northern Italy for a workshop with The Blue Walk. 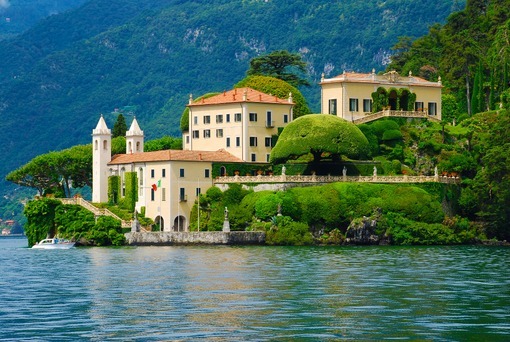 During this weeklong tour, we'll visit Milan, Rapallo, Cinque Terre, and Lake Como, enjoying the unique character of each of these places. Sketching, touring, eating, shopping, relaxing - we'll do it all! Why not join us? It's going to be a feast for the senses. 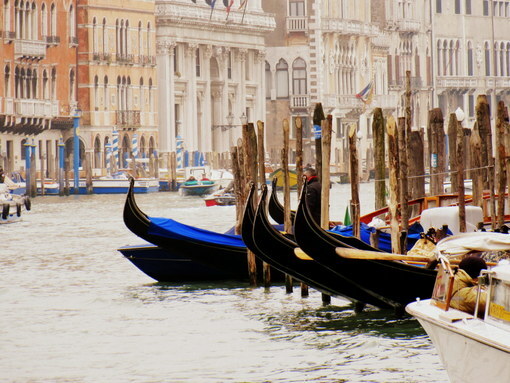 If a week just isn't enough for you, join me for the optional three-day extension of the Northern Italy tour which will take us to Padua, Verona, and Venice. Interested? Find out more here. Dates are September 22-October 2, 2018. My last workshop of 2018 will be in San Clemente, CA, where I'll debut my newest class, "Sketchbook Journaling Explorations", at San Clemente Art Supply. This class should be a lot of fun. We'll be playing around with new tools and techniques to mix things up a bit in our sketchbook journals. Visit the US Workshops page for a full class description. Happy summer sketching! Remember to enter the sketch kit giveaway by leaving a comment. What a wonderful giveaway. Thanks for hosting it. No summer plans for me. My May trip to Charleston was canceled due to illness but I hope to reschedule for September. I had planned to do some sketchbook journaling while there. I am a novice but enjoy it just the same! Would you consider coming along on my workshop trip to Northern Italy this year, Lisa? This will probably be the only time this particular tour offered. Leslie, love your work! Hope my schedule will permit me to take one of your classes in the future. That's for sharing your art and travel pictures. Oh wow. Thanks for the opportunity! I have always found water colour to be a "frienemy"! Perhaps this would kickstart me again! Well, just got back from Leslie's super class at Cheap Joe's, and a wonderful first trip to NC. Next up is a birding and camping trip to the Chiricahua mountains in southeast Arizona near the Mexico border. Hope to attend Leslie's San Clemente class in November! Cheers! Hi Leslie! No summer plans for me, though I would love to get out of the Texas heat for a bit. Maybe I'll visit my parents for some much more humid Florida heat. :D I'm sure your Italy trips will be fabulous, but I'm going to Paris in the fall instead. But I will turn up at one of your future workshops for sure! Virginia V.H. ABSOLUTELY AWESOME! CAN'T WAIT TO JOIN U AGAIN!! Yes, a wonderful giveaway, thank you! This summer, I will be in France with my husband. We go to Brittany and visit all the places we love since many years. I'm looking forward to sketch these places the first time. Some good stuff there. I’ll be flying home to Pittsburgh tomorrow by way of Iceland tomorrow. Bus trip to Mackinac Island next month. Then Sicily in September! I LOVE Mackinac Island! We visited there years ago and rode bikes around the island. Returning for another visit is on my bucket list. Very nice giveaway. I’ll be traveling in June to Philadelphia and Baltimore. Time to start a new travel journal. San Diego in June for my niece’s wedding...and some sunshine! So far it looks like my travel will wait until September to see a friend who is relocating to the DC area. I'm looking forward to exploring that area and hoping to sketch! Very nice giveaway. 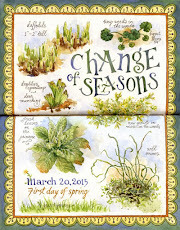 I have been enjoying working on my Alpine Retreat Journal. Travel plans so far are to visit both Philadelphia and Baltimore in June. This would be great to take along to journal with. What a wonderful and generous drawing and I thank you for including me! I love seeing the photos from Boone and am hoping next May I will be able to sign up. 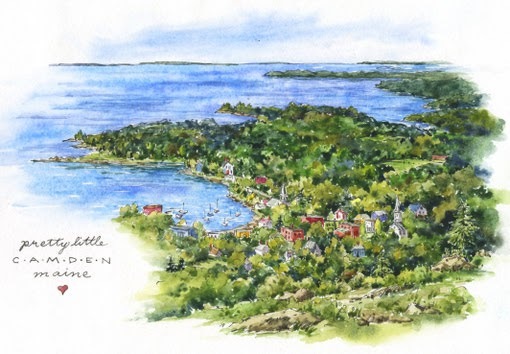 I'm looking forward to practicing my on-site sketching this summer in Maryland (next month, just a few days) and at my cottage in Northern Michigan for the rest of the summer in preparation for UK and a bit of France in October! I'm very excited and no doubt will pack and unpack twenty times before I leave! Your summer plans sound fabulous -- and by the way, the colors in your giveaway are beautiful! Thanks again. Since I don't like the heat, I travel in the fall. Every year I meet friends on Chincoteague Island in VA. Birds, wild ponies, good friends and good food. It's my yearly therapy. Even get some sketching done. I've never won anything, but I'm delighted to comment here anyway. I'm still basking in the afterglow of your Boone workshop and have begun to rethink my office remodeling plans to better accommodate the illustrated journaling for which it will provide the home base. As to travels -- Lincoln City OR for a reunion of my husband's siblings and their spouses, a cruise from Stockholm to Copenhagen with a few days at either end and three full cruise days in St. Petersburg, and then a cruise up the Danube from Budapest to Prague with a few days at either end. But first, and for longer than I can remember, we're going to have a few weeks here in which to announce my full, 100% retirement, do some writing, and do some sketching. Hope you have a fabulous summer. It sounds like you have a fabulous summer planned, Naomi. Way to celebrate your retirement!! I doubt it, Susan. I don't think there's enough material for a 5-day class. It's more of a 2-day. I'll probably teach it here at my house sometime, though. Maybe you could come to that one. Thank you so much for your kind comments, Sandy. I hope we'll have a chance to meet one of these days. I have to stay at home most of the summer for family health care assistance. But that means there will be more time to paint locally. The San Clemente workshop in November looks like a possibility. That would be fun. I hope you can make it to San Clemente. It's going to be a fun workshop, and I'd love to have a chance to meet you. My summer trip was the trip to Boone! Little did I know that an article in the Mary Jane magazine would open a new world for me. I plan to practice Sketchbook Journaling right here in Pensacola and I hope there will be trips in the future with Leslie. Keep in touch, Jane, and good luck with the giveaway! Generous giveaway! I'd love to do the Maine workshop some year. What a great giveaway,is it international? We've had summer and are heading into winter. I spent ny summer holiday in the Far North Queensland, in Port Douglas, Daintree Rainforest and the Atherton Tablelands. A very beautiful part of the world. Sure! I'll mail it anywhere. :) You're in! Gotta love Cheap Joe! Looking forward to seeing you in June. I will be moving to Oklahoma in 10 days, and taking my art supplies with me. I'll be living beside a daughter and husband as well as 5 grandkids, and they have all enjoyed painting with me in the past, so I am hoping for lots more of that together time. 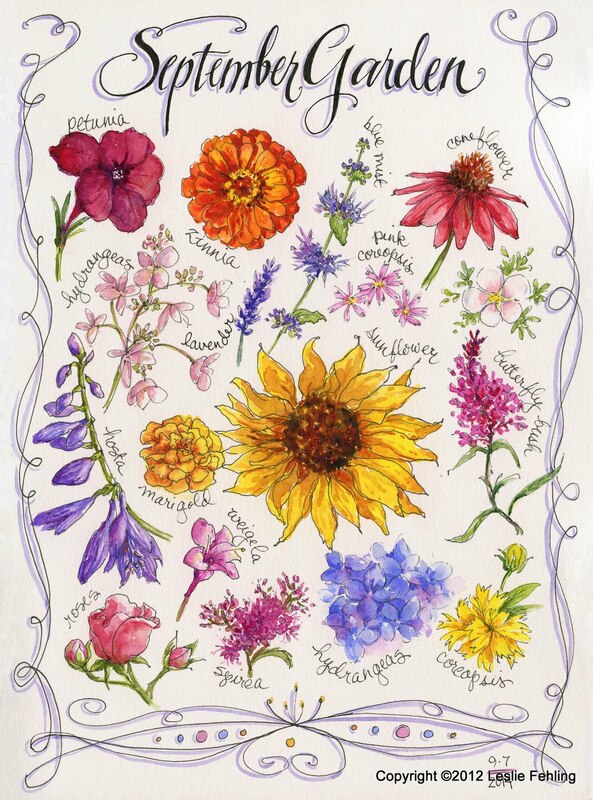 I will very much miss living near the woman who inspired me to try watercoloring, who walked me through the early stages, and encouraged me not to give up. Thank you Leslie, for the many ways you have blessed me and my family, and our church, over the years. You're welcome, Merry. I'm so glad you persevered and got to the point of enjoying painting. We're sorry to see you go, but you're sure to have a rich new life there in OK with Emily and the rest of the family. You're going to have a huge influence on those grandchildren. I hope you'll keep on painting out there in the wild, wild west! Safe travels, friend. I will try to practice all that you taught me in Boone! What a fabulous giveaway!! Don’t you love visiting Cheap Joe’s? They are fantastic. I’m actually traveling to Italy and planning to sketch and paint every day! I leave this week and can’t wait! All your workshops sound sooo good, would love to take one. At the present time I'm recuperating from hip replacement surgery, so we won't be doing much traveling. We're hoping to get away in August to a wonderful area in NC called Little Switzerland, which about 4,000' up. The view are wonderful and your "little package" would work so well up there, to help spend the hours painting and sketching. Thank you for this opportunity to win the giveaway. Hi Leslie! I'd love to win this gift! I've never worked with the Kilimanjaro papers or this type of little palette. I'm headed off to teach in Ireland this August, and am so looking forward to it! I've been enjoying your posts & your travels! Traveling is done for the year. Been to Washington state, Idaho and Utah. This summer will be doing nature hikes with the granddaughters. Hope to be able to sketch and paint birds and butterflies with some pretty vegetation. Will also be teaching 2 hour art classes for children seven and older. Enjoy your art work and blogs. It sounds like you will have a wonderful summer. This is a great giveaway. thank you for the chance to win. I will be wandering the wilds of NW Montana, perhaps a journey to Calif and perhaps Italy to see my sister. I am traveling to Boone in August for your workshop and then to West Jefferson to teach in September. Last but not least to Harmony, NC for my son’s wedding! I’ll be headed to the Tulsa Zoo, the Indian Heritage Museum in Tahlequah, Oklahoma, church camp, the creek, and other fun places with kids from our community. Mid July, we are headed to Boy Scout Camp right outside of Yellowstone National Park. We will explore YNP while my son is at camp. Looking for the right camera to take pictures I hope to come home and paint! Hi Leslie, What a great giveaway! I hope to make some weekend trips to the coast this summer, then to the redwoods in Northern California in September. And then the trip I am really looking forward to in October to Peru! I can’t wait to see what I will sketch there. I will be off to Oak Island and, in fact, we hope to move there this year! Tour workshop in Boone looked great! Your traveling summer looks so fun and exciting! I won't travel anywhere this summer which is okay because I live in the sketching paradise of Whidbey Island Washington!!! Yahoo to watercolor sketching! Have fun everyone!!! I'll be staying close to home this summer. I love to go urban sketching with an artist's group here. We'll be challenged trying to stay out of the Texas heat! It looks like you have an exciting summer planned. We are trying to squeeze in some short trips to Long Beach Island in New Jersey, as well as a trip to Bermuda. When I travel I usually take my Peerless watercolors due to the wide range I have I’m my palette. Although I really love Daniel Smiths too! Wish I could go on every trip with you! Thanks for getting me started on watercolor painting. I am loving whatever time I can spend doing it. I look forward to coming to the Summerhill Workshop this week! HEading to Phoenix for 2 weeks to babysit my one year old granddaughter while her mom goes to the office. She keeps me on my toes! Then in July they are coming to Michigan and we will head north to the cottage for a few days of swimming, fishing, relaxing! I would love this for my trips back and forth to Phoenix. I go quite often!Thank you for the opportunity! Due to business commitments, my husband can't get away this year. So I decided it was the perfect year to go on your art excursions to Italy. I have been wanting to do this for so long and am sooo looking forward to September!! Thank you for the opportunity to win this lovely travel kit! You inspired me to do another May but your flowers for May just knocked my socks off. Can’t wait to see that post. I’m a sailing instructor so I’ll be at Moraine State Park teaching kids to sail for a week in June, so I thought I would do an accordion fold sailing journal with boat terms, knots, and lessons. We will sail at Deep Creek in July and then to Boone at Cheap Joe’s in August. Best of all is another trip with you to Sicily in September. Always say yes to new adventures! WOW! What a great giveaway... so much fun! No plans here unless I make a quick trip to CO! Maybe down to Santa Fe? I love all your sketchbook work, you do beautiful work. 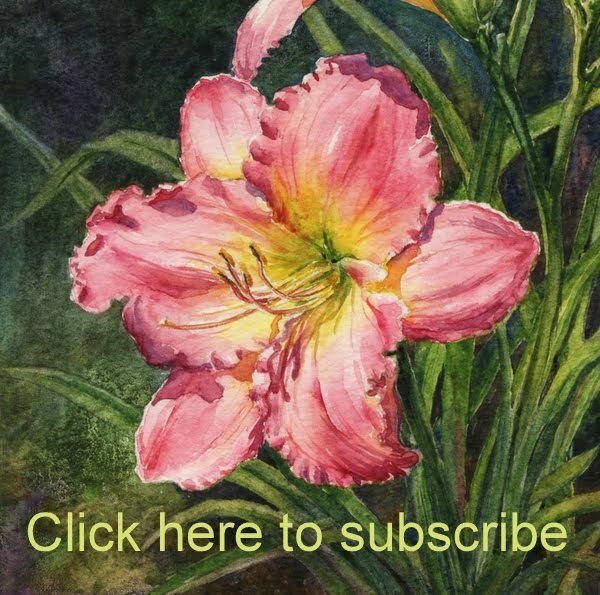 I would love to take a class with you but have spent my art travel allotment for this year. Am headed to Maryland/DC in July, hope to try some sketching. I love this giveaway from Cheap Joe's. I took a class there a few years ago and love it and him. We are planning some Canadian road trips. Live in Maine and love to travel our coastline! It is every changing with breathtaking views to sketch. I will be going to Rehoboth Beach, DE for a few days. The rest of the summer I will be traveling the back roads around me, searching for pretty scenes to sketch. It is very nice of you to do this! 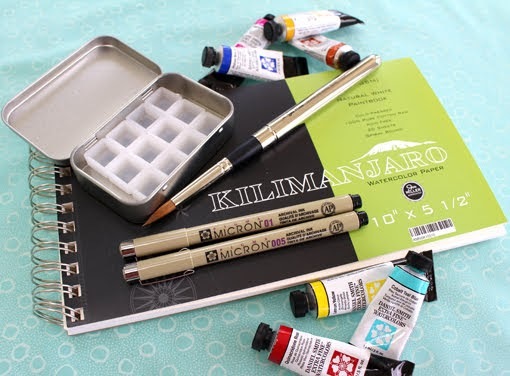 I would love to try out the Kilimanjaro sketchbook and that brush! We plan to visit Williamsburg, VA soon. I plan to take lots of photos, I know there will be lots I will want to paint. Nice give away. I always slip in a small art kit when I travel. One of the highlights of any trip is if I get a chance to paint. Hopefully, one day I will be able to join you on one of your tours. Yellowstone National Park....and taking my first sketching class right before leaving. Fingers crossed that I will have travel sketches at the end of the trip. We live in Northwest Montana so this is where we want to be in the summer! Thank you so much for the giveaway. What a wonderful selection and generous giveaway! Our trip this year will be to N.Y. in the fall to visit family and friends. Can hardly wait! We will be going to Rocky Mountain Nation Park a lot this summer. Wow. Your planned summer travels are a lot more interesting than mine! I'm planning on doing a lot of day trips around Ohio to take in different sights I've never been to. The covered bridges and lighthouses on the Lake Erie shore are beckoning. I'm gearing up for retirement - and hopefully a lot more travel painting, so would really appreciate this opportunity to win this travel kit! Thank you! Your workshops look fantastic. I'm trying to decide how to swing getting to one of them. Your workshops are inspiring. This summer I hope to make it back to my home state of Pennsylvania to see family. I transplanted myself to California long ago, but I love going "home". 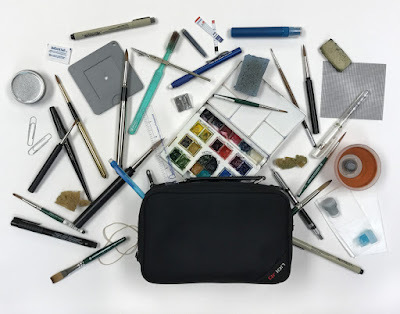 I'll take my travel art kit, too. Thanks for the give-a-way. This is the year we are taking my son to Canada for the first time. We are driving from Virginia to Niagara (Canada side)and I'll sketch the waterfall, the boats and the gaudy storefronts. From there we are meeting other family memebers on an tiny island in Pointe au Baril, Ontario. This will be a beautiful setting that I will look forward to sketching. On the way home we will stop in Toronto and swing through the Greek area for some great food, before heading home again. As I read this I am traveling in Campania, Italy. We will travel next to Florence, Sienna and Venic then to the CZ Republic. I am doing my best to sketch with busy schedule, crowds and an unexpected allergic reaction. This summer I will be at home with family. Thanks for the giveaway. I really enjoy your posts. I'm inspired and excited to take my art supplies to Vermont and to Missouri for a big family reunion. In currently working on a watercolor of the old family homestead to add to the family reunion auction, using some of the tips from the May, Boone NC workshop. It was fantastic!!! Thank you for this opportunity! Love your style of sketching and painting! My husband and I will hopefully be traveling up the east coast of US late in the summer to celebrate our 27th anniversary! Can't wait!! Thank you!!! Such a cool set!! I found your blog about a month ago and have been going back and reading every post. You've inspired me to take up sketching again (not that I did very much of it) and I began with one of my garden birdbath. I live on Vancouver Island, in Canada, and this summer we'll be taking our little boat to the Broughton Archipelago for a couple of weeks. It's a bit remote, but we hope to see bears and whales and other wildlife. Not much more than 6 weeks left until we leave! Thanks for your wonderful posts, and your video tutorials! This summer I might head up to Chicago to visit a friend. They live near a garden/conservation area so there's a chance for some nice plein air painting. Aside from that I might go to a few local festivals or visit Lake Erie (I'm in Columbus, so it's not too far). Wish I could attend the Italy workshops! I hope to do some camping in the midwest. I have to keep my costs down. :-) I would love to be included in the drawing for the art supplies. You are very generous. I just discovered your blog and have been reading various parts of it all afternoon. Wonderful information and work1 Thank you! I will be traveling to the beach...family joining us at Emerald Isle. I'm practicing now to have a few skills available when I go. I am a beginner, but I love using watercolor and I love following along and learning a few tricks from your blog. You make it look so easy! I love your style. Your work is always inspiring. I hope someday to be in the vicinity of one of your workshops! This is a perfect giveaway package! I live in Australia, so we are heading into winter now. I do have a trip planned to Tasmania in spring (Sep/Oct). I will be traveling to Yellowstone National Park and I am looking forward to sketching animals, geysers and the magnificent looking pools of water. I will be traveling to my sisters in California in about a week. We will do a fabric shop hop as well as just spend time with family. This is such a nice giveaway, good luck everyone! Looks like a great kit. We are just home from Arizona, Utah, Nevada and Northern California. Headed to Washington, Colorado, and the Oregon Desert this summer. Hi I just move into a new home after downsizing. I think this summer we will explore the area and stay close to home. 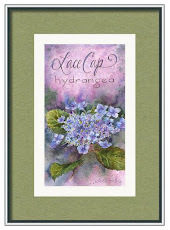 Am new at watercolor and would love to win your giveaway. Thanks for all the information many blessings to you. What a wonderful giveaway!! We just returned from our big trip of the summer...a Western Caribbean cruise. I plan to stay close to home the rest of the summer and will finish filling my travel journal from photos of our trip. You are such an inspiration to me! Thank you! I was at Myrtle Beach last month and managed to wake up for -- and paint--a few sunrises. But that might be it for my summer vacations in 2018. 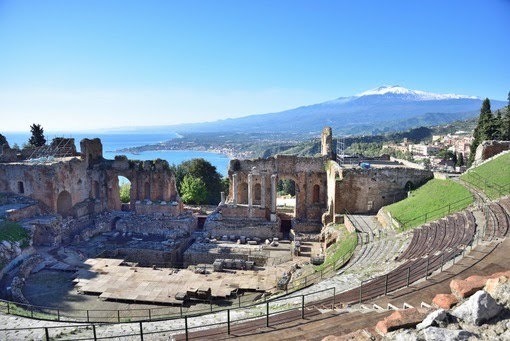 The trip to Sicily--think of me when you’re gazing up at those mountains!-- looks awfully tempting, but too much going on at home with the new pre-owned car just bought (only 59 more payments!!) and new shingles needed for the roof. We are going to Bar Harbor, Maine, this summer. We are going to Fort Meyers, Florida for Thanksgiving. Thank you for a chance to win all those are goodies! Thank you for hosting the giveaway Leslie! I hope to take my watercolors to DC with me this summer, so I can paint all the beautiful monuments on the national mall!